Three years ago today, my mother left Colorado for the last time–all the way to heaven itself. At the age of 90 she still looked as she does in this wonderful picture of her that I took just about nine months earlier. That smile and the twinkle in her eyes stay with me even today. Mothers are one of God’s greatest gifts, even with any faults they might have (my mother’s were very few). Sons, on the other hand, are much farther from being perfect and she loved to remind me that some of her gray hair came because of me. Then she’d chuckle and say, “And, looking at your gray wreath around your bald head, God paid you back with children of your own.” Don’t misunderstand–she didn’t look at children as a curse, but as a tremendous blessing. And how she loved her grandchildren and great-grandchildren! They all brought huge smiles to her face and a dancing light in her eyes. 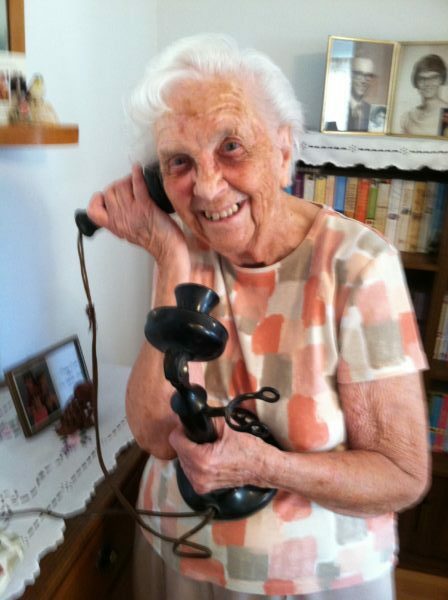 She remembered when those phones were a household item–she worked as a telephone operator when people owned such phones. This photo was taken in 1943 (maybe 1944) when Mom was working as a telephone operator in Craig, CO. Her “career” at the telephone office came to a close the day after she got engaged to my father–he had returned home for a leave in 1945 after service in North Africa and Europe in WW2. They married and had a brief honeymoon in Denver before his leave was up. As their firstborn, I entered this world as one of the earliest of the “Baby Boomers.” Then came my sister Martha, our brother Jim, and lastly our sister Susan. When people talk about acronyms for MOTHER, I always begin with My and Our, because that relationship is so very, very precious. And, with Mom, the T was for Tease–how she loved to tease! Just ask my brother-in-law, Warren, who also loves to tease. 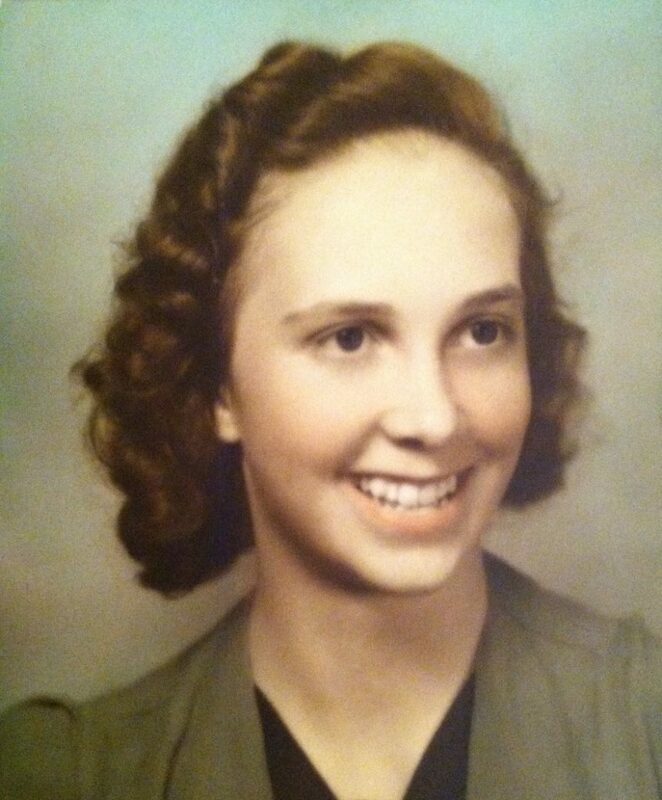 She was #1 practical joker in our family–in other words, she was fun. That leads to H for Happy, because that is how she was and what she made all of us. E was for Excellence–she demanded it and expected it, and we grew to seek it as a pattern in our lives. Lastly, R for Redeemed. Yes, when she came to the Lord in faith in 1962 Mom became an even better and happier Mom. Her faith became the candle burning brightly in our home. She stayed active in the church until the week before she left earth to enter heaven. Precious, precious memories. Thanks, Mom. See you in heaven. 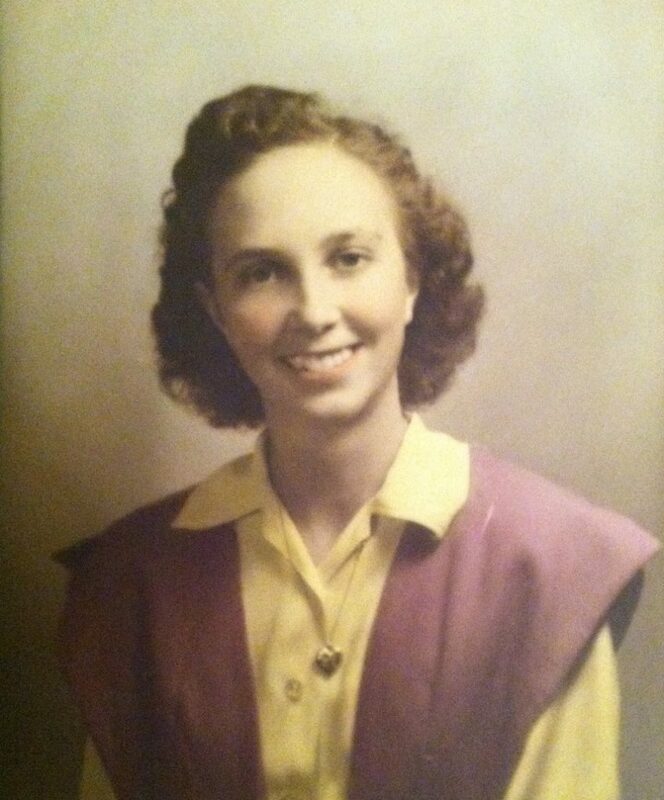 Note: My mother-in-law, Lucille Dow, also worked at a telephone switchboard in Alamosa, CO at about the same time. Barb and I have wondered if our mothers ever spoke to one another from their respective switchboards. 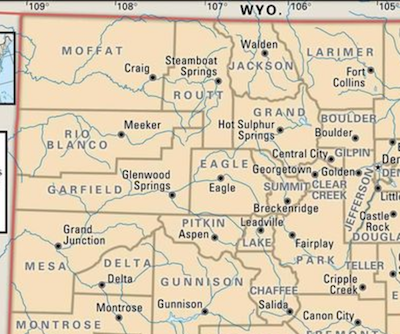 We both also had great-grandparents who lived in Cripple Creek, CO in the last of the 19th century who might have met each other. I feel a Twilight Zone episode coming on.